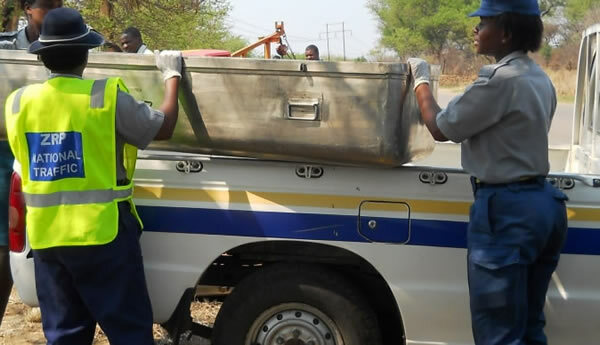 A WOMAN suffering from high blood pressure and diabetes collapsed and died outside a food outlet in Bulawayo yesterday afternoon, the second such sudden death in the city within a week. The incident occurred in front of a food outlet located at the corner of Fort Street and Leopold Takawira Avenue at around 12PM. “I can confirm that a woman collapsed and died in the city centre this afternoon (yesterday) but we are yet to gather more details,” she said. Eyewitnesses said the woman died while people were administering first aid soon after she collapsed as they thought it was just fatigue. “When she collapsed, everyone thought its minor since it is very hot. People rushed to pour some water and while they were still trying to revive her, she died,” said an eyewitness. Another eyewitness alleged that a person who identified herself as the deceased’s next of kin came to the scene. “She said the sudden death may have been caused by high blood pressure and diabetes that the woman has been battling for some time,” said the eyewitness. Last week, another woman collapsed and died while attending to a customer at a city fabric retail shop where she worked.